Have you ever experienced this phenomena?- You or an orchestra friend gets some new string that's just hit the market, or a shoulder rest, or some other doodad AND it makes that violin sound GREAT! Next thing you know, every violinist in the orchestra has one! 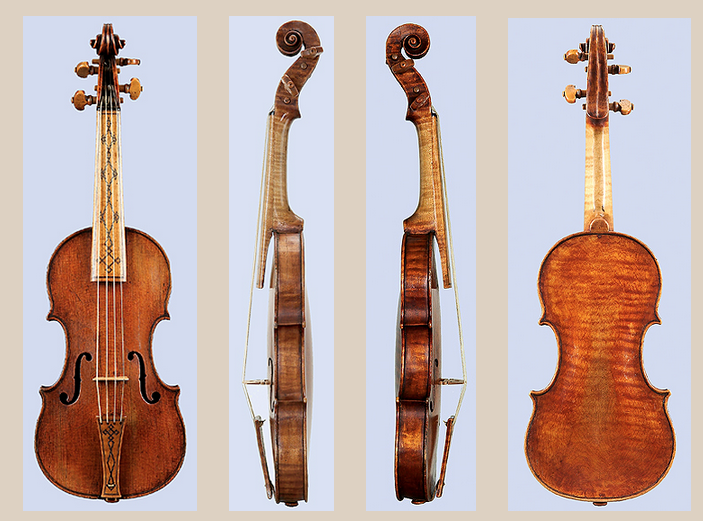 In the early nineteenth century there were huge changes going on in the violin world. First Paganini made some changes and it made his violin sound GREAT! Then next thing you knew, EVERYONE needed those changes. It's hard to imagine an instrument as staid as the violin going through any evolutionary changes. Most of our modern violins are so standardized that if the string length is off by just a couple of millimeters, an experienced player will notice it. But early violins were not made to such standardized measurements. And one huge change that happened in the early 1800s is that the length of neck (and thus the string length) became longer! Almost no violins made before about 1830 retain their original necks. That includes Stradivaris, Guarneris, and Amatis.